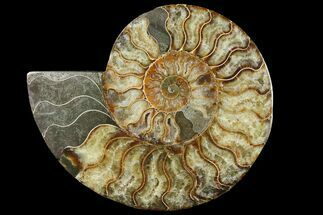 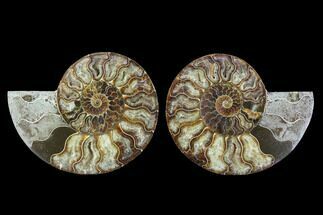 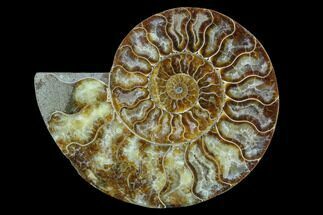 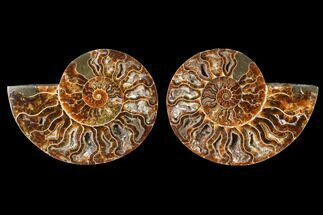 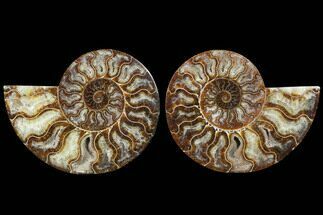 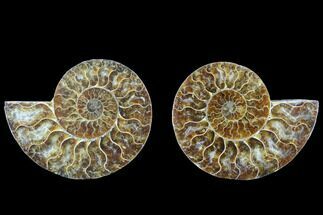 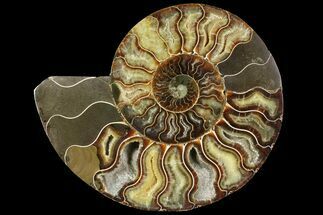 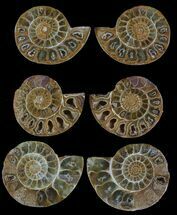 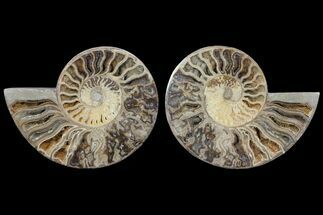 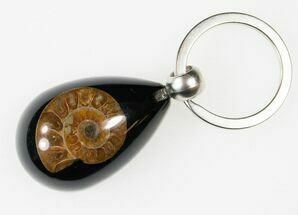 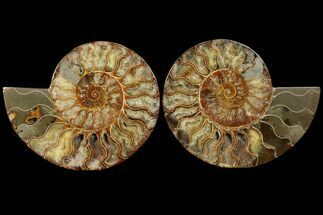 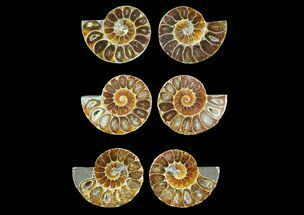 We have a huge selection of beautiful cut and polished ammonites for sale from Madagascar. 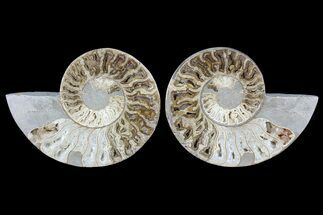 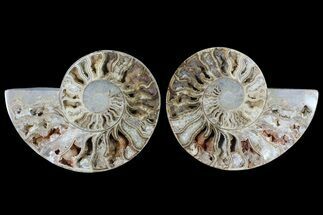 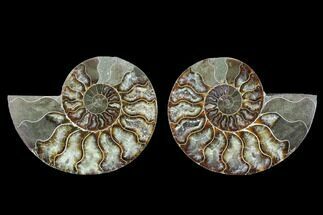 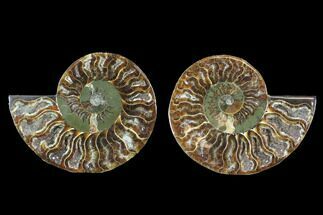 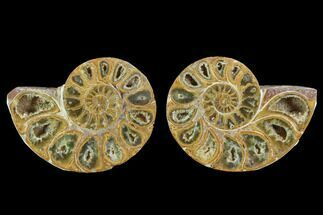 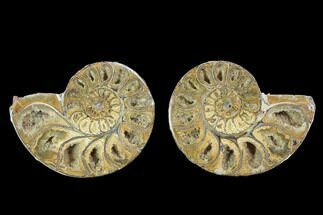 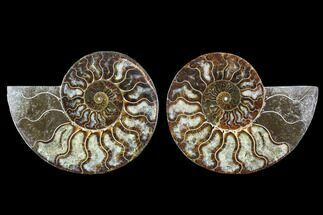 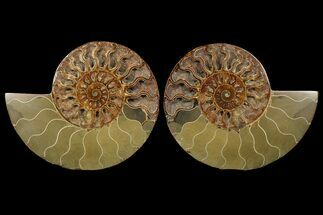 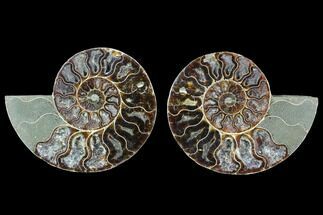 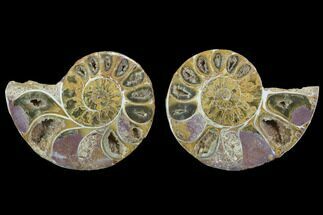 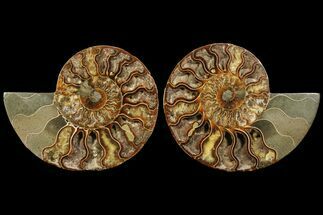 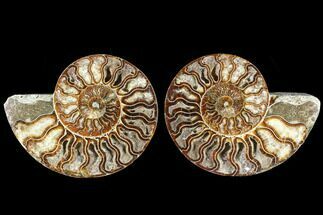 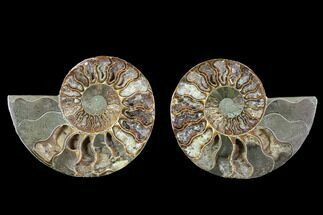 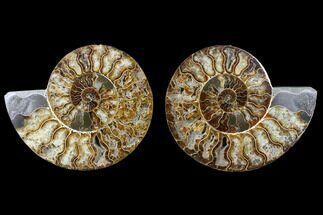 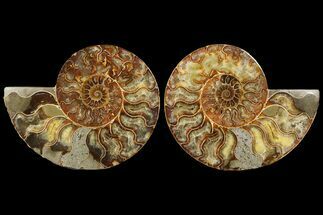 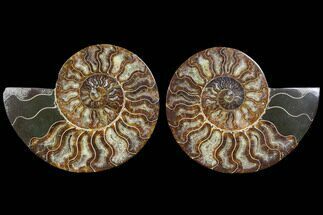 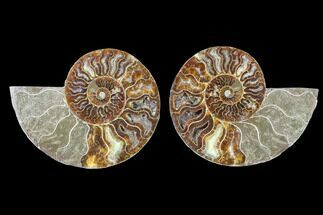 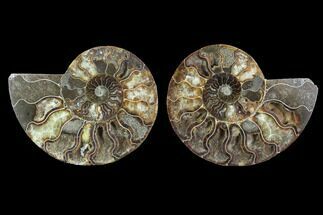 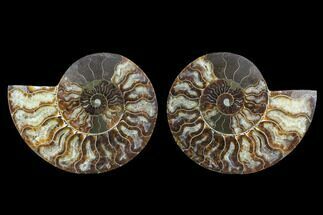 Slicing and polishing these ammonites allows the agatized, inner chamber detail to be displayed. 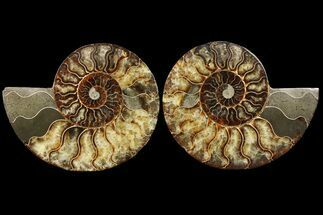 Often these chambers are preserved as deep crystal pockets. 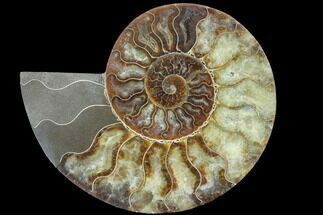 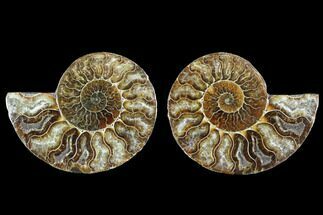 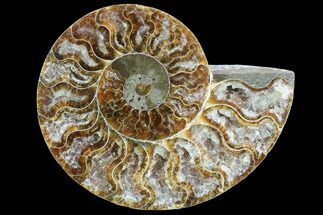 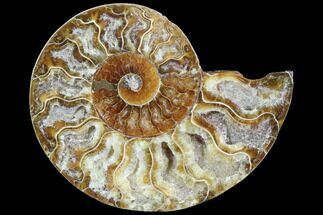 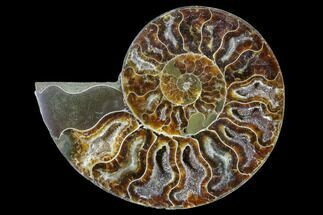 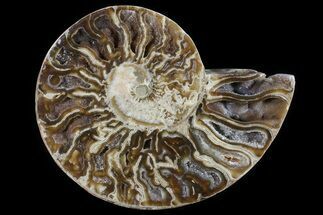 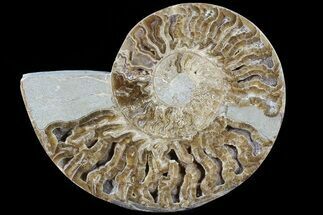 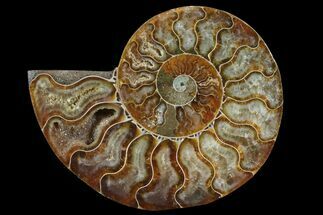 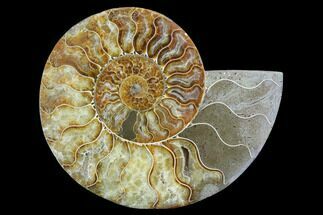 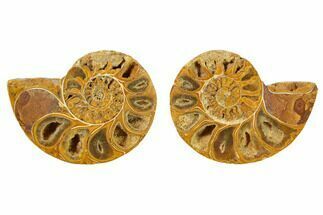 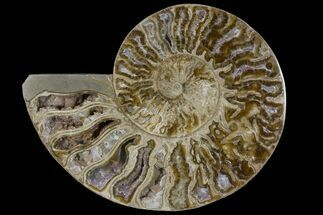 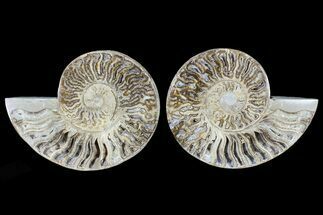 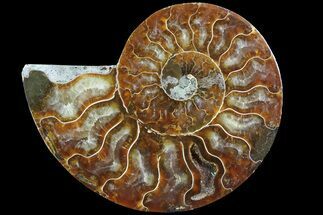 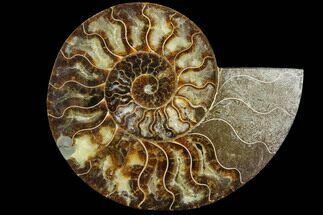 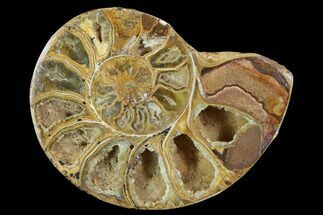 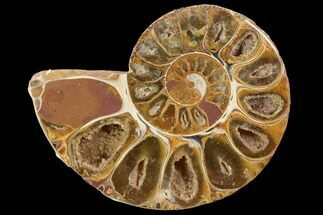 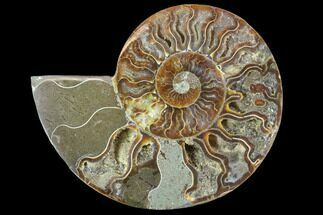 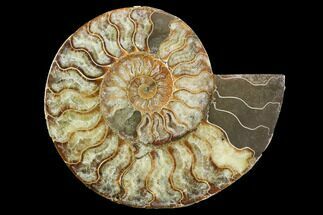 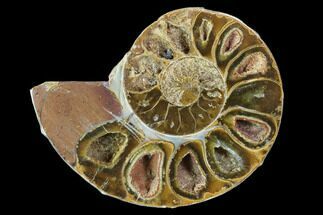 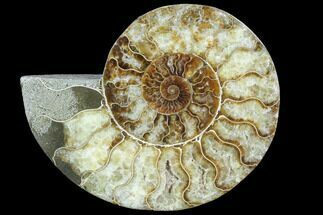 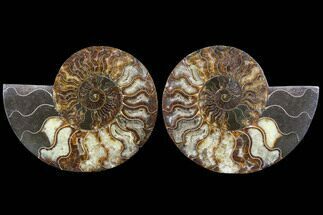 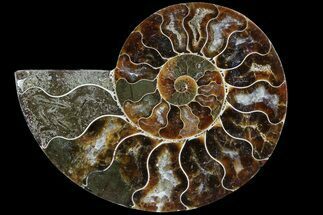 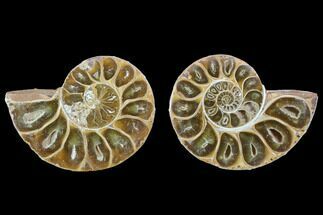 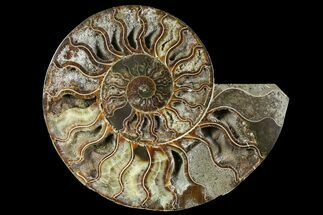 We have a variety of species and sizes available of ammonite fossils for sale, ranging from under an inch in diameter to over a foot at the best prices around.